Alberta is home to some of Canada's most impressive scenery, where the prairies meet the mountains and spectacular snow-capped peaks dominate the skyline. 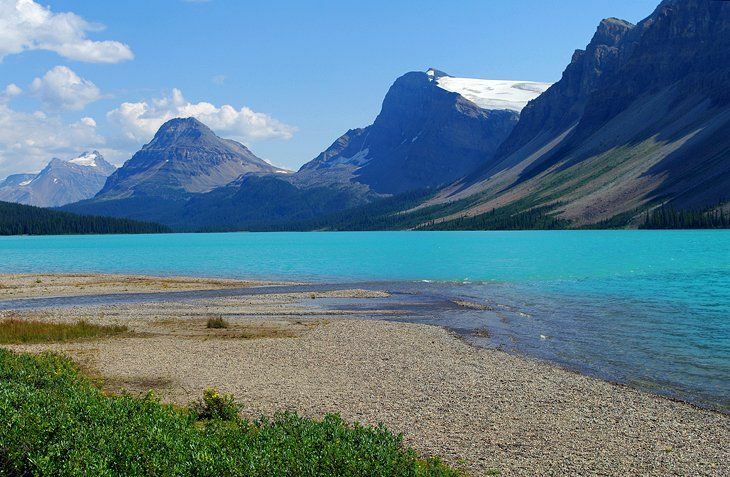 The awe-inspiring glaciers and turquoise lakes of Banff and Jasper National Parks draw millions of visitors each year to this province. In winter, skiers take to the slopes, which offer some of the best skiing in North America. Calgary, well known for hosting the annual Calgary Stampede, is a vibrant, modern city that has grown substantially in recent decades and offers a wealth of entertainment options. Further north, the provincial capital of Edmonton is home to West Edmonton Mall, the largest shopping center in Canada, along with numerous other cultural attractions.